Co-founders and leaders of HTC Peter Chou and Cher Wang (CEO and chairperson respectively) gave an interview to the Financial Times and strongly implied that the company is working on tablet and a wearable device. This month HTC posted its first-ever quarterly loss and so the company is looking beyond smartphones for extra revenue. 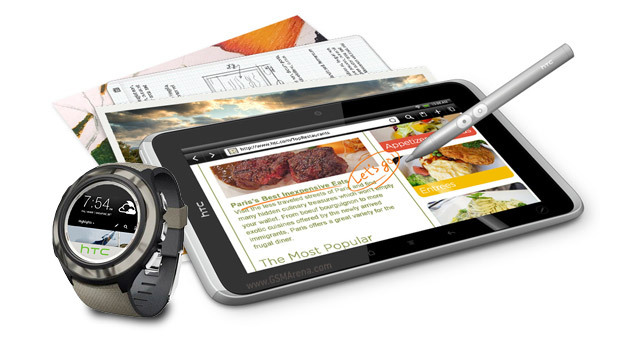 HTC has two tablets under its belt – the Flyer and the Jetstream – but they are both from 2011. Recently, the company was working on a couple of Windows RT tablets, but that didn’t work out very well. This along with “pretty small” sales of the company’s Windows Phone handsets has put the long-running Microsoft/HTC partnership in trouble. As for wearables, Chou revealed that the company looked into creating a smartwatch with Microsoft, but those plans never came to fruition. Still, the HTC head honchos think that the wearable market is critical and that current smartwatches don’t pass muster. The company won’t put out a “version one” product, which is a subtle jab at Samsung’s Galaxy Gear (a Samsung exec said the Gear “lacks something special”). Peter Chou sounds like a big believer in smartwatches and the company has a good track record for quality hardware, so there’s potential there. The HTC leadership duo was coy about the rumors that the Taiwanese company is building a smartphone for Amazon, but remain open to such opportunities. this was, after all, HTC’s original business – make a device and let someone else slap their brand on it and market it.